In the United States today is Martin Luther King, Jr. Day. In some states it is called Civil Rights Day. The theme usually is a Day of Service since Dr. King devoted his life to serving and helping others. 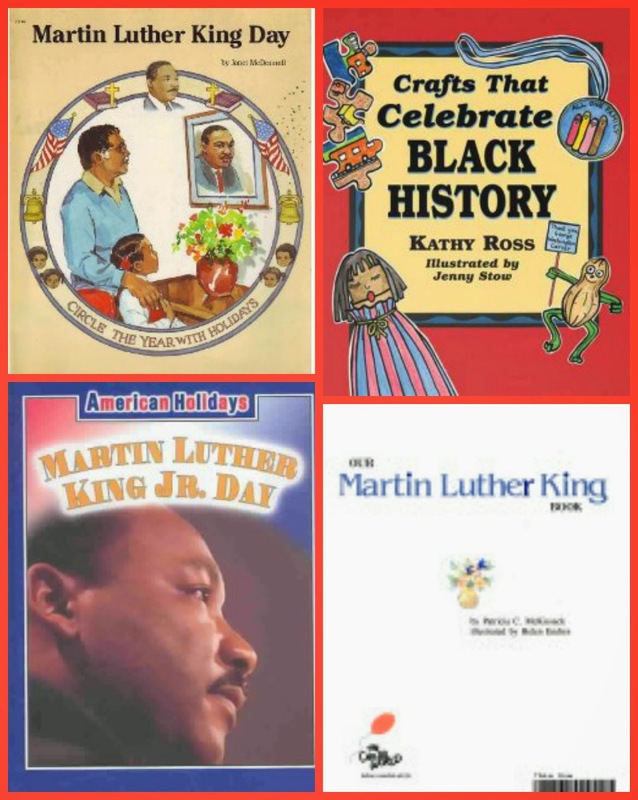 Last week we did a book round up with books on Dr. King and on the holiday. 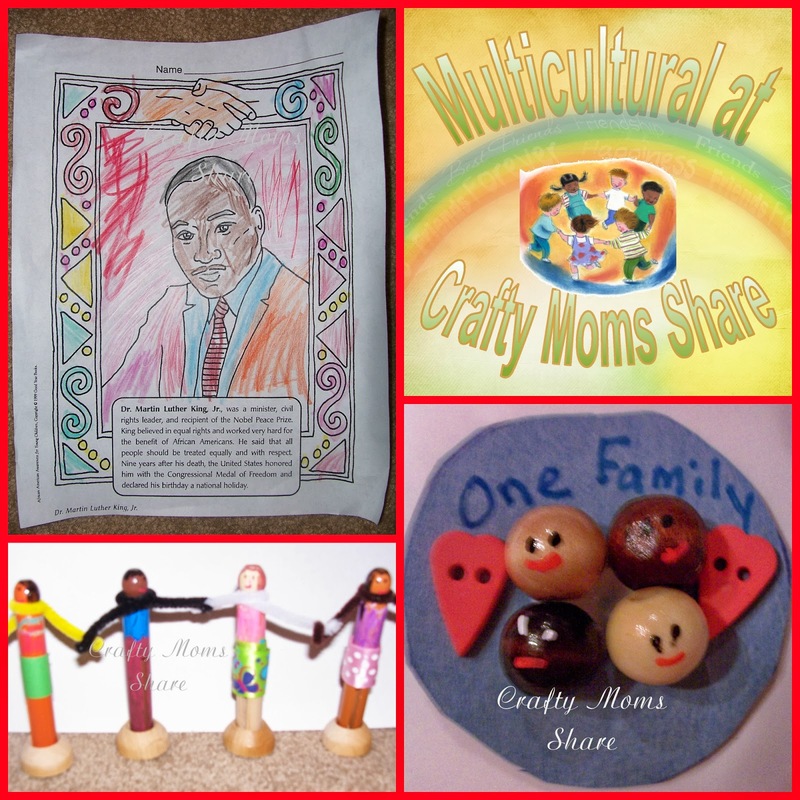 On Sunday I shared two crafts to honor his teaching of peace through love. 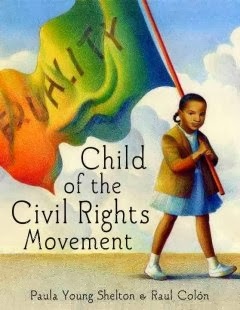 Child of the Civil Rights Movement by Paula Young Shelton and Raul Colon is written in the voice of Paula. She was four-year-old when her family marched in the Selma to Montgomery March. Or should I say she and her family did the first day of marching and then the children stayed at her grandparents' house in Selma while her parents continued the march. 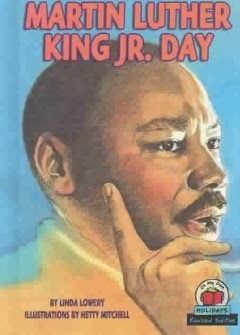 I love this book because it personalizes Dr. King or as she called him Uncle Martin. Her father, Andrew Young, worked closely with Dr. King in the Civil Rights Movement and she knew all the Civil Rights Leaders as aunts and uncles. They all took turns carrying her during that first day of marching after she got tired. 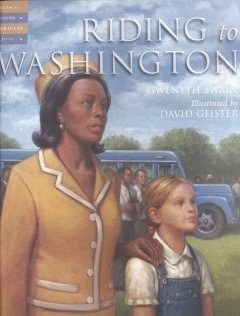 Riding to Washington by Gwenyth Swain is a fictional tale of a young, white girl from Indiana riding with her father and his friends from work on the bus to hear the "I Have a Dream" speech. Gwenyth was only two years old when her father and grandfather made this journey and she has often wondered what it would have been like to be a child there. It is a wonderful story showing strength and working together and then of course being in awe of the words of Dr. King's speech. 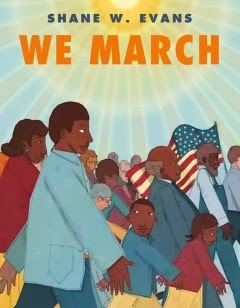 We March by Shane W. Evans is a simple picture book (very few words) about heading to Washington for the march and ending with the "I Have a Dream" speech. This is a wonderful book for younger children. 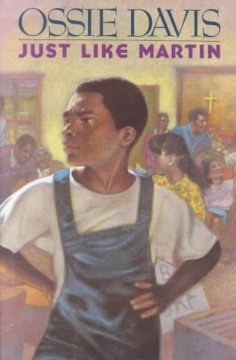 Just Like Martin by Ossie Davis is a chapter book for older children. It is about a young black boy who wants to join others in marching, but his father does not agree with the nonviolence demonstrations and does not let him go. The boy who has met Dr. King wants to be just like him and this story is about his courage to stand up for what he believes. At the end of this section I will share all the places that inspired these crafts. Many were inspired by several different crafts in different places. These two crafts could be made with a felt background and made into pins or with a clay background and made into magnets. One of the inspiring crafts made it this way and taped a string to be a necklace on it. The faces are various colors of wooden beads. 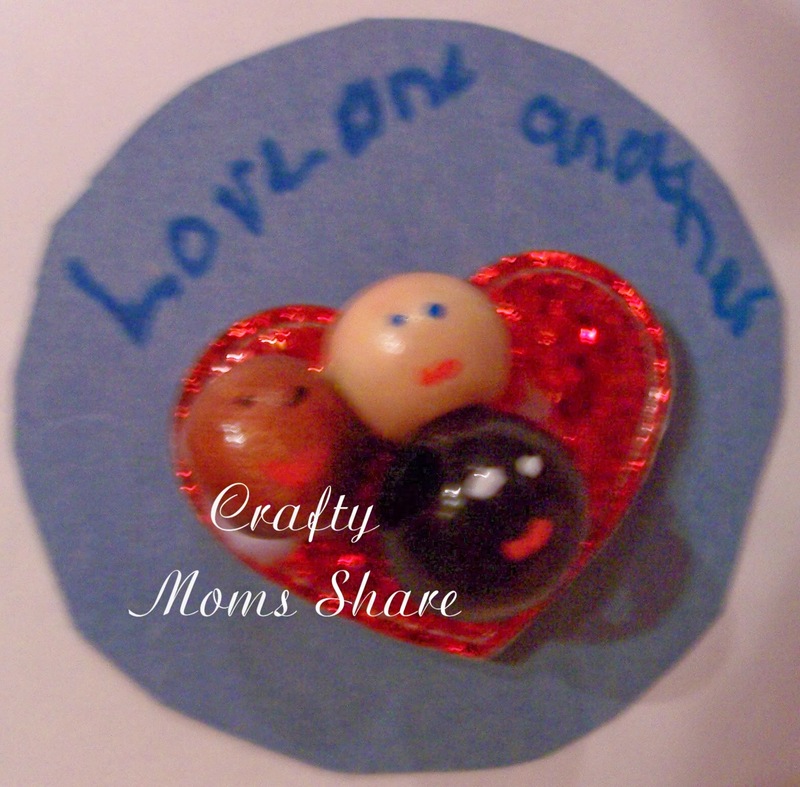 On one I used a puffy heart sticker and the others I used small heart buttons to show the love Dr. King spoke about. 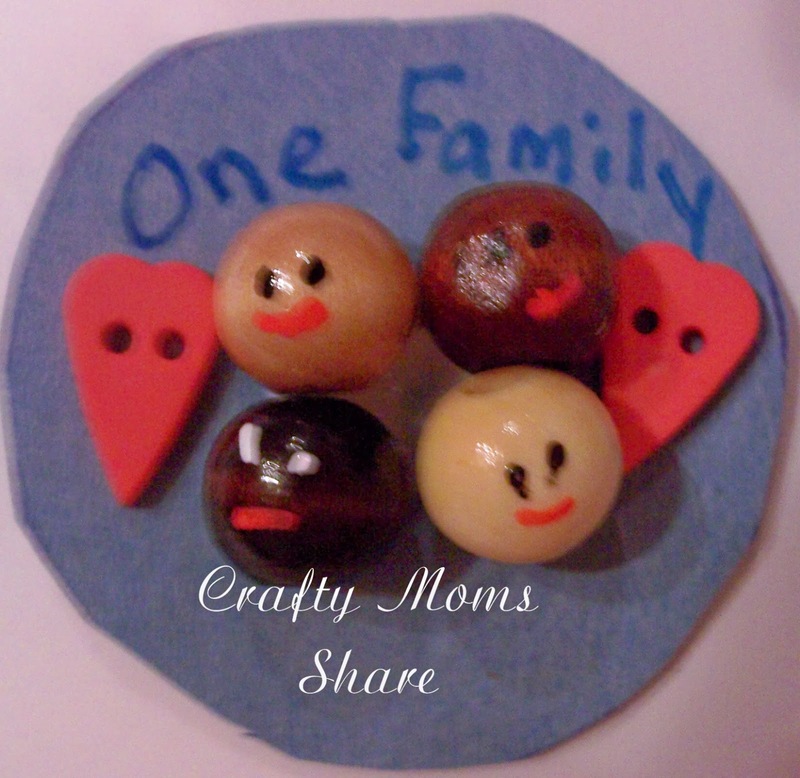 This craft is a wonderful reminder that God wants us to "Love one another" (John 13:34). Hazel traced her hand on one piece of paper and I cut them out of five skin shades of paper as well as some hearts and made it all into a mobile/wall art. United we stand or holding hands as part of The Dream are the perfect title for this one. 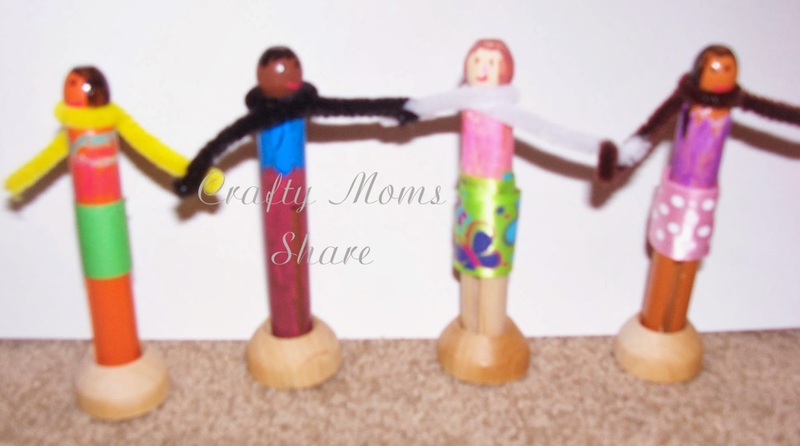 Simple peg dolls made from different color clothespins with pipe cleaners for arms and hands. Hazel had fun making one of these as well. Plus from these books. Some of these books have wonderful ideas for classrooms or families activities as well! 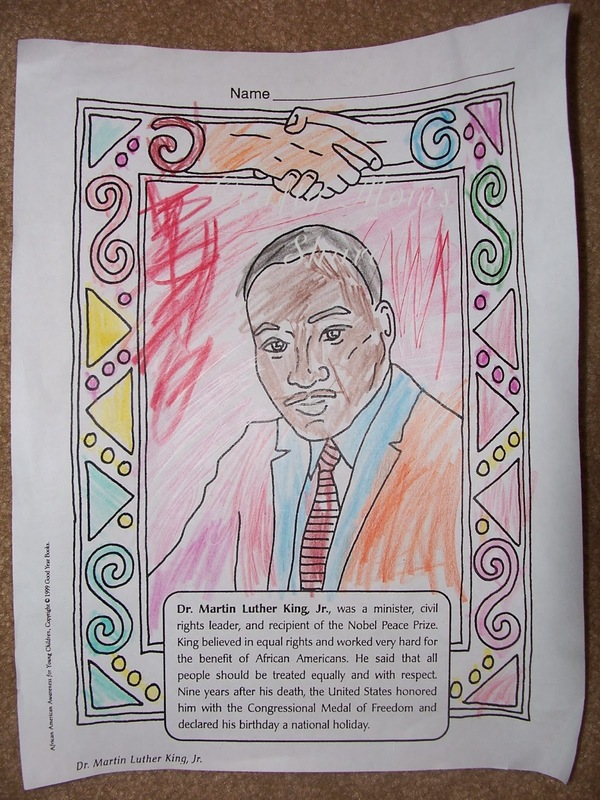 How do you celebrate Martin Luther King, Jr. Day?